Our hand-painted Butterfly Suckers are a beautiful way to welcome Spring. 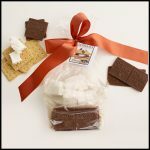 They make a wonderful addition to a Mother’s Day gift, or as favors for a little one’s birthday party or baby shower. 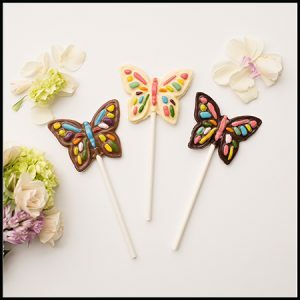 Just as every butterfly is unique, so are our butterfly suckers as each is made by hand with love here at Graham’s. 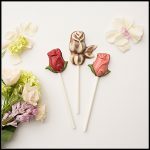 Available in milk, dark or white chocolate and then painted with multiple colors of our edible cocoa butter paints, they come individually bagged & ribboned with matching colors.